VA Mobile Home Loans: Can I Buy a Manufactured Home with a VA Loan? The advantage to purchasing a mobile home is clear: price. According to a recent study, the cost to build a manufactured home is about 10 to 20 percent less than building a conventional “stick-built” home. That can add up to quite a lot of money. Click here for today's VA loan rates. In addition, mobile homes, also known as manufactured homes, have come a long way, and in many cases are hard to tell apart from a traditional home in appearance and quality. The popularity of manufactured homes is demonstrated by the fact that about 10% of all new homes are manufactured homes. How Do I Buy a Mobile Home with a VA Loan? The first thing to do is make sure your lender will approve a VA loan on a manufactured home. Some VA lenders will only approve standard stick-built homes. Once you find a lender, get pre-approved for the loan. Keep in mind that it’s harder to obtain a VA loan approval for a manufactured home than it is for a conventional home, especially if you have a low credit score. This is because default rates are higher on manufactured homes than with stick-built homes, so the VA is not as lenient on credit guidelines. Check VA loan rates here. Another factor that’s different is the loan term. According to VA, the maximum term for a manufactured home with the land is 25 years. Because 30-year terms are not available for manufactured homes, your monthly payment may be slightly higher. Shorter loan terms require higher monthly payments. To purchase a mobile home that will be professionally affixed to a lot you already own. To purchase a manufactured home and lot at the same time when the home is already affixed to the lot. Purchase a mobile home and lot at the same time if the home is not yet affixed, but will be. Refinance an existing loan on the mobile home and purchase the lot at the same time. Use a VA streamline refinance to lower the rate on a mobile home and lot you already own (if there’s a VA loan on the home currently). Use a cash-out refinance to lower the rate, pay off a non-VA loan, or obtain cash from your mobile home’s equity. Each lender is a little different and may not participate in all these types of VA loans. It’s possible for manufactured homes to be classified as a vehicle, or personal property, instead of real property. When the home is transported to the site, it needs a vehicle’s license to travel upon public roads, much like a travel trailer would. Check VA home loan rates and see if you qualify. When the manufactured home is placed on the lot, however, the owner should do a “title elimination” (although not all manufactured home owners do this). Having the title eliminated changes the legal status of the manufactured home from a vehicle to real property. If you come across a manufactured home that you are interested in, have your real estate agent or loan officer check that the title has been eliminated and the property and home are registered in the county’s records as real estate. Many Veterans wonder if they can buy a mobile home within a park or community where they rent the land. But VA loans do not allow this. You have to own or be purchasing the lot as well as the mobile home to be eligible for a VA loan. According to the VA lender’s handbook, the manufactured home can’t simply be left on the wheels it was transported on. It must be placed on a permanent foundation. A foundation not only supports the weight of the home, but also helps the structure withstand strong wind. Without a good foundation, the home could topple. In some areas of the country, VA even requires hurricane ties to be installed on the home per local code. Click here to check today's low VA loan rates and request a mortgage pre-approval. If the appraiser has any doubts about the acceptability of the foundation, a certified foundation engineer may be required to make a final determination. According to the VA handbook, the manufactured home must be at least 10 feet wide and 400 square feet if a single wide, or 20 feet wide and 700 square feet if a double wide to be eligible for financing. There is no age restriction for the manufactured home. Beyond manufactured home-specific requirements, VA sets forth general Minimum Property Requirements for any home that is financed with a VA loan. The overall goal of MPRs is to ensure that the veteran is buying a home that is livable and free from major defects. See our in-depth article on VA MPRs. Counties, cities, and states have building codes that all structures must adhere to. For example, a county may require a certain amount of insulation in the home, or various standards for electrical wiring. The manufactured home will have to adhere to these standards as well. Property zoning also must be followed. For example, a certain county may have a downtown area, commercial areas, suburbs, and undeveloped forest. The manufactured home will have to be placed on a residential lot, and must not violate any zoning restrictions. 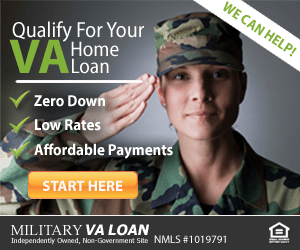 Get a free VA home loan rate quote. A manufactured home that is not yet delivered to the site or permanently affixed is considered “proposed or under construction.” In this case, proposed installation plans and drawings will need to be submitted to the lender, according to the VA lender’s handbook. If any modifications to the manufacturer’s installation instructions are planned, those need to be submitted to the lender as well. As with all VA loan types, make sure your VA lender can approve this type of financing. What Lenders Offer VA Manufactured Home Loans? 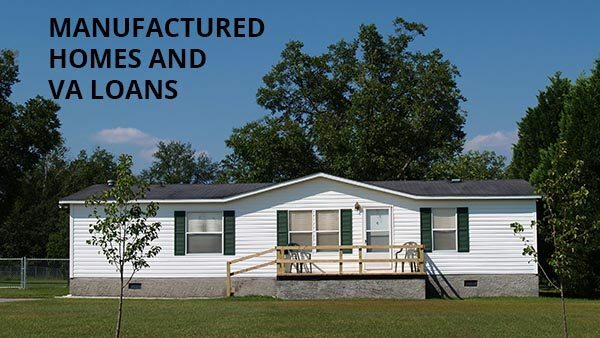 Unfortunately, lenders that offer VA loans for manufactured homes aren’t that common. In our research we found a few companies offering the program. Land Home Financial Services – This lender offers loans up to 100% LTV to buy a manufactured home and 90% to refinance for applicants with credit scores down to 620. The lender appears to be licensed in most U.S. states. However, it is a wholesale lender, meaning you have to find a bank or mortgage company that is signed up with Land Home as a broker. 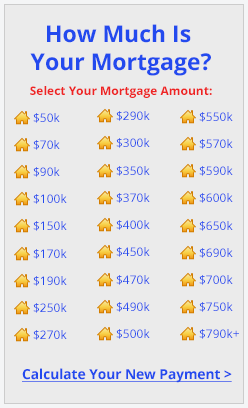 It’s possible that Land Home has a list of lenders in your area. AFR Wholesale – Another wholesale lender, AFR states that it offers VA manufactured home loans. Since it’s a wholesale lender, you must do your own search for a local mortgage broker or lender which is signed up with AFR. The company does not share its manufactured home guidelines publicly, so ask your local lender if they parter with AFR and the terms of the loan. OnQ Financial also states that they offer VA manufactured housing loans for properties at least 400 square feet, existing or new construction, for applicants with credit scores as low as 620. Purchase and refinance options are available. Fortunately, OnQ is a direct lender, meaning you don’t have to find a mortgage broker to work with them. The company is licensed in nearly every state and has branches nationwide. CMG Financial is licensed in most states and is a retail and wholesale lender. Its guidelines states that it can lend on manufactured homes aged 20 years or less, on a permanent foundation, no structural additions, enclosed crawl space, and meeting all other local codes as well as VA property requirements. Can I Refinance my Manufactured Home with a VA Streamline? Some lenders will allow you to refinance a manufactured home with a VA streamline (IRRRL). The home would need to have a VA loan on it currently. Check with your lender whether they allow this type of loan, and see our VA streamline refinance page to learn about general qualifications. Only you, the home buyer, can determine whether a manufactured home works for your situation. For many, it’s a great way to purchase a quality home for 10 to 20 percent less than a standard home. Click here to start the VA home loan approval process.